After just over two years of redevelopment, the new $360m Bankwest Stadium is ready for action. 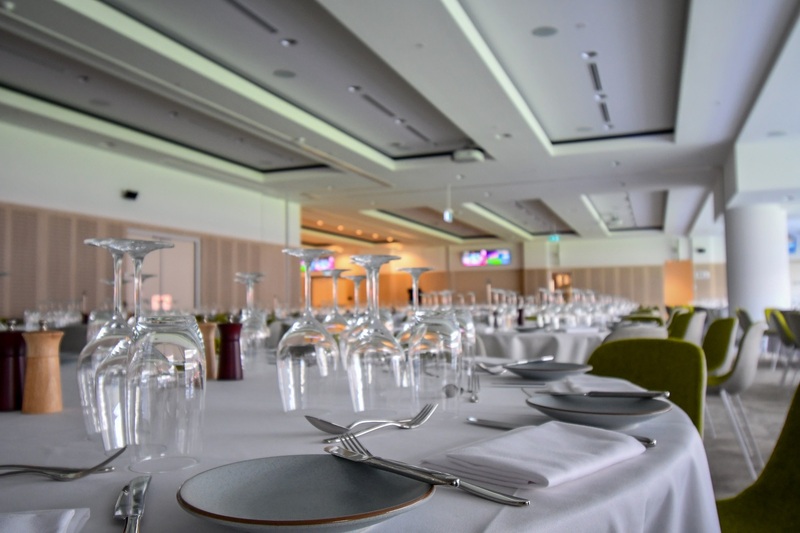 The stadium boasts a range of private suites and dynamic corporate reserve spaces that offer the finest facilities, audio visual and hospitality in New South Wales. The stadium is designed with the steepest grandstand angle in the country so you can be sure you will have a perfect view for all the premier sporting and special events. The Field Club gives members and VIPs access to an unparalleled sporting experience. 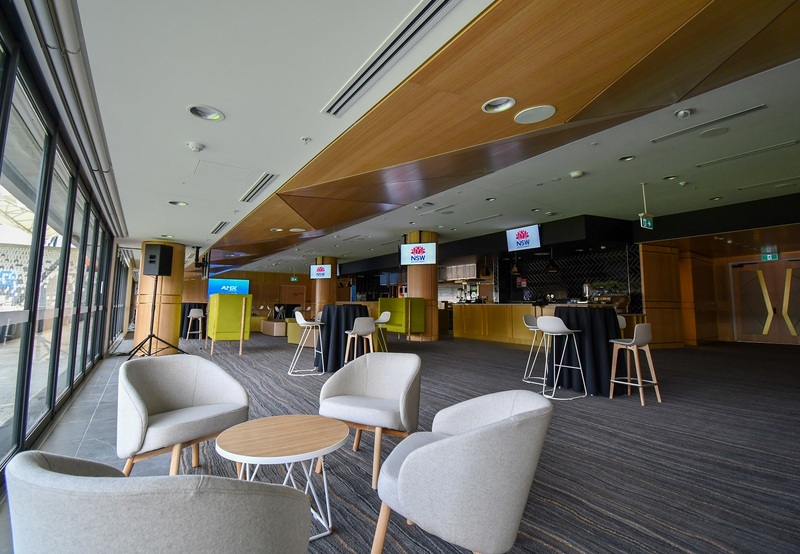 Located at the edge of the playing field in the western stand, it is the first of its kind in any stadium in New South Wales as the area allows guests to look through a glass window at both ends and watch as professional athletes prepare to take the field. The Director’s Club offers a premium intimate experience; the centrally located room is on the halfway line of level two, offering incredible views of the playing field in a luxurious setting. With an exclusive 20-guest boardroom and a front-facing kitchen area, this function space is perfectly suited for corporate events and board meetings. The space also has the flexibility to hold a dinner or casual cocktail function for up to 200 guests however if that isn’t enough space The Cumberland Lounge, located on level 1, is the largest corporate space available with the capacity to cater up to 700 guests. The Level 2 Suite Lounge offers a mix of private space and open networking area. Experience all of the action up close, from the comfort of your seat and enjoy access to a luxurious private lounge with other like-minded guests. If you need more privacy Bankwest Stadium has almost 40 Private Suites across three levels ranging in a variety of sizes, they are the perfect intimate entertainment spaces for your guests. For enquiries into Bankwest Stadium’s private suites and corporate offerings, click here.